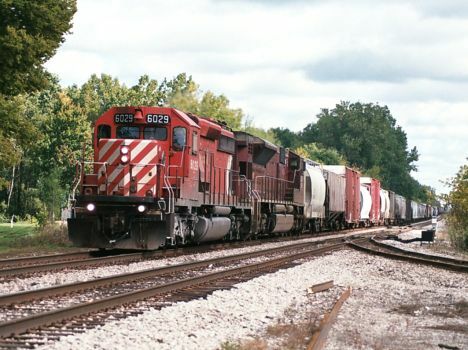 The Canadian Pacific (CP Rail) is one of two Canadian lines in Michigan. CP owns very little track (from the Detroit River Tunnel to West Detroit, but it has trackage rights through Conrail's shared asset area and on the NS line from NS Bridge to Butler, Indiana (and then on to the Chicago area via the NS water level route). NS has yards in Michigan at Oak (an interrmodel yard in northwest Detroit). Most of the remainder of CP Rail is run-through bridge traffic. The company has no lines in the upper peninsula. In the 1980's through the late 2000's, CP Rail used trackage rights on the CSX line from Detroit through Grand Rapids to Porter, Indiana. This line is rarely used now the the rights may have been withdrawn. News Feed from Google: Canadian Pacific Ry.